Teotitlán del Valle is a traditional rural town that maintains its Zapotec culture. 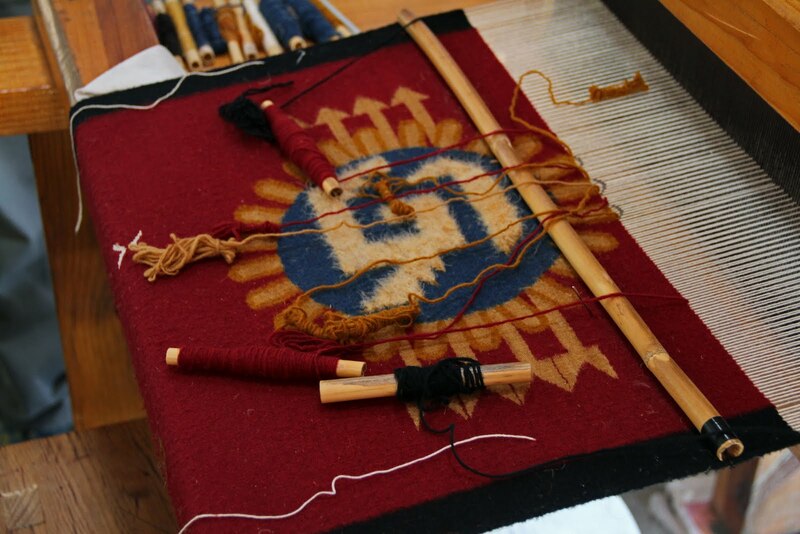 Teotitlán is known for its woven wool rugs and tapetes, especially those which use natural dyes. Two other worthwhile stops include the Preciosa Sangre de Cristo Church and the community museum. Weaving in this village dates back at least until 500 BC. The earliest weavings used cotton and ixtle (fiber from the agave) and utilized the backstrap loom. More modern weaving was introduced here by Dominican bishop Juan López Dezárate around 1535 when the bishop brought sheep and treadle looms to the area. The new materials and looms allowed for weaving large items such as rugs, serapes and blankets. Today rugs are handcrafted from wool and the designsinclude Zapotec and Mixtec glyphs and fretwork, and more contemporary designs including reproductions of works by famous artists such as Picasso, Joan Miró, Matisse, Diego Rivera or Rufino Tamayo. The process begins with washing the raw wool then it is carded and spun into yarn. The yarn is dyed with natural dyes such as those obtained from the needle bush, indigo, cochineal, pecan, Mexican marigold and others. Some workshops do use chemical dyes. 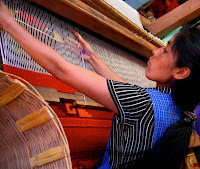 The traditional looms are hand-operated and for large rugs require some strength to operate. Looms are typically two harness and designs are made by interchanging weft threads. The whole process is quite labor intensive. About 150 families are involved in the craft and family workshops employ extended families with children and elders participating in the work. It is possible to stay in Teotitlan and some shops offer classes and week long workshops. The pictures take you through rug weaving from raw wool to finished product. There are a number of other websites that cover things in more depth.